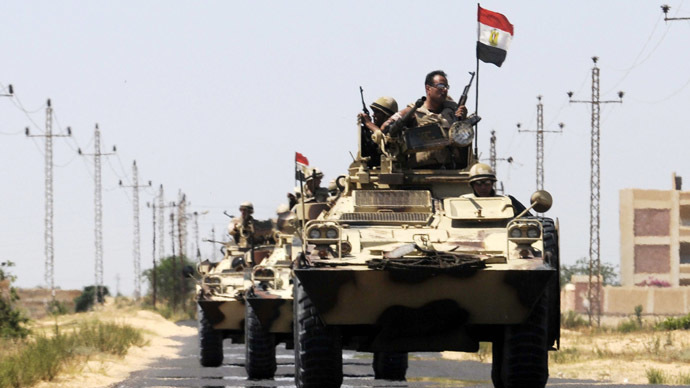 Egypt’s military forces have started a massive operation against armed extremists in northern Sinai Peninsula, reports in the Egyptian media say. The operation dubbed ‘Desert Storm’ was launched by the Egyptian army in North Sinai Governorate on Saturday and will last for 48 hours, Al Ahram newspaper said citing security sources. The army reported Sunday that at least 10 "militants" were killed during the operation, while around 20 others were arrested. 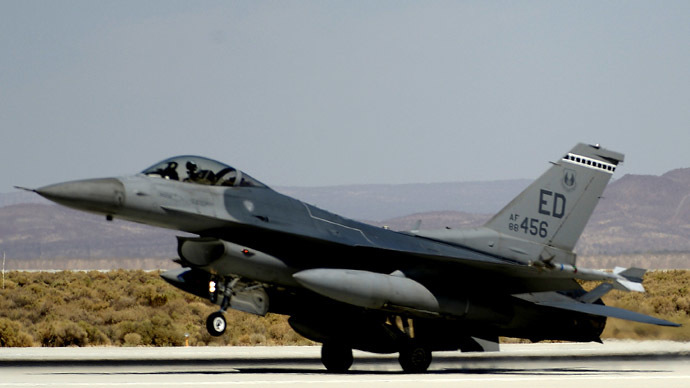 The military action aims to block extremists’ desert and mountain bases and end terrorist activity in the region, primarily in the northern and central Sinai. 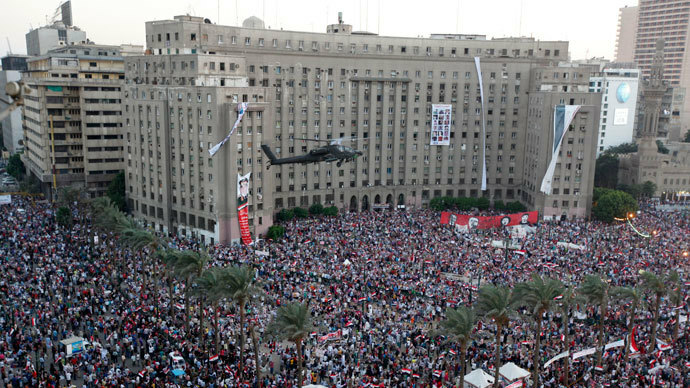 Two of Egypt’s field armies, as well as the country’s Air Force and Navy are reportedly taking part in this large-scale operation. The military are said to be blocking all the roads, bridges and tunnels leading from Northern Sinai to other provinces of Egypt. The security forces maintain there are about 500 armed extremists in the area that may use the local civilians as human shield. The security situation in North Sinai has deteriorated after the former Egyptian President Mohamed Morsi was ousted on July 3. The local insurgents that have been active ever since the popular uprising of January 2011 are said to have been joined by Islamist supporters that vowed to lead an armed fight against the authorities. 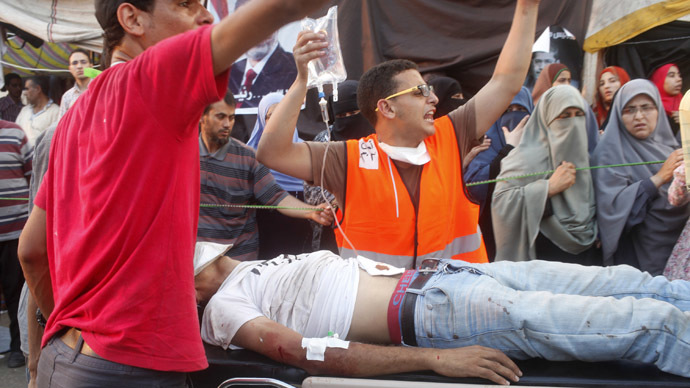 The Muslim Brotherhood has denied having a hand in the escalating violence in the region. However, one of the group’s leaders was quoted as saying that the insurgent attacks would end as soon as “the legitimate president” is freed from detention, according to RIA Novosti. At least 23 members of the security forces and 10 civilians have been killed in the North Sinai city of Al-Arish by suspected Jihadist militants since Morsi’s ouster, according to Ahram Online. Despite reports that the operation would last for approximately two days, the Egyptian Army is well aware of the fact that “they would be fighting a long war against the terrorists in Sinai, and most likely also in mainland Egypt,” Middle East analyst and counter-terrorism expert Walid Phares told RT. Currently, the army is “making sure that the Jihadi forces won’t have an enclave” in North Sinai, which could turn it into a breakaway extremist-controlled region, Phares said. 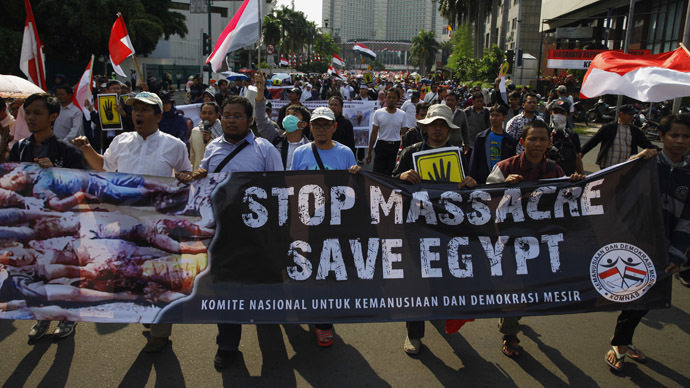 According to information published by the Egyptian Army, “had the Morsi regime continued for a few more months…there would have been a declaration of an emirate of Northern Sinai…and that would be the equivalent of Waziristan in Pakistan, or Northern Mali,” the analyst explained. 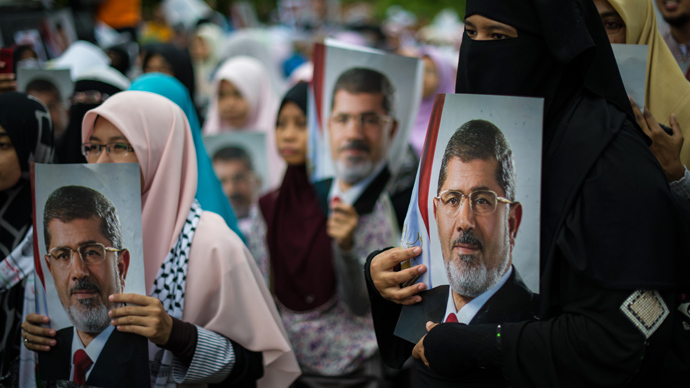 Morsi’s government failed to do so, instead choosing to send a delegation to negotiate with Sinai extremists because Morsi’s right-wing ally, the Al-Nur Salafi party, had been “linked to these Jihadists” and “came from the same background,” according to Phares.